The restroom project is one of the campus’ more ambitious projects with massive renovations for many of the school’s restrooms. PHOTO BY CHRIS HOWZEThe male campus population may have to factor a little extra time into break periods between classes when school resumes Aug. 19 — particularly if nature calls. A major campus bathroom renovation project is currently impacting 15 men’s restrooms in the Locke, Holt, Shima and Budd buildings. Men’s rooms throughout those buildings are shut down while being completely rebuilt. The renovations, which began at the end of the spring semester, are expected to run through September. After the men’s rooms are completed, campus women’s rooms will follow. In total, 28 restrooms will be renovated when the project is complete. Director of Facilities Michael Garr and Facilities Planner and Environmental/Grounds/Manager Stacy Pinola said the rest room’s were shut down in stacks, specifically because each one is located either directly above or below another. Garr and Pinola wrote in a dual email interview. The renovations include a complete demolition of the current restrooms. All walls, fixtures, tiles and partitions have been removed. 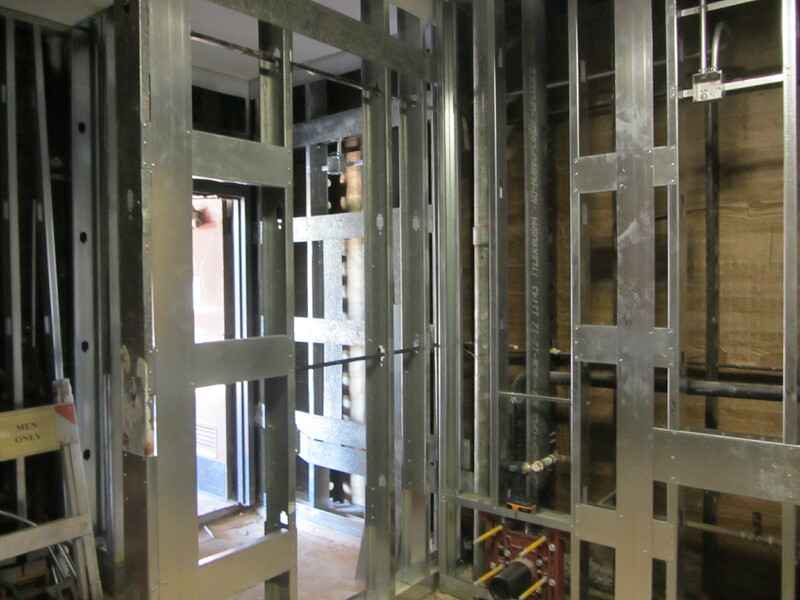 “The restrooms will be rebuilt with new tile, new plumbing and light fixtures, and new partitions. The restrooms will meet ADA [Americans with Disabilities Act] requirements, making them more accessible, but resulting in fewer stalls, as we are limited to the existing spaces for restrooms,” Garr and Pinola wrote. The entire project is scheduled for completion by early November. Officials said the project has experienced some unforeseen setbacks due to water damage in the walls. The issues have caused some delays, as proposed structural repairs had to get approval. Signage is expected to be in place at the beginning of the semester. Campus officials ask for “tolerance to the inconvenience” as the construction continues.